Mechanical Presses — International Components Group Inc.
E.W. Bliss played a supporting role in developing the U.S. manufacturing might of the 20th century as a leader in metal forming equipment and mass production of metal parts – from cans to automobile components. Eliphalet Williams Bliss (1836-1903) built his first presses in 1857. After serving in the Civil War, he founded the E.W. Bliss Company in Brooklyn, NY. 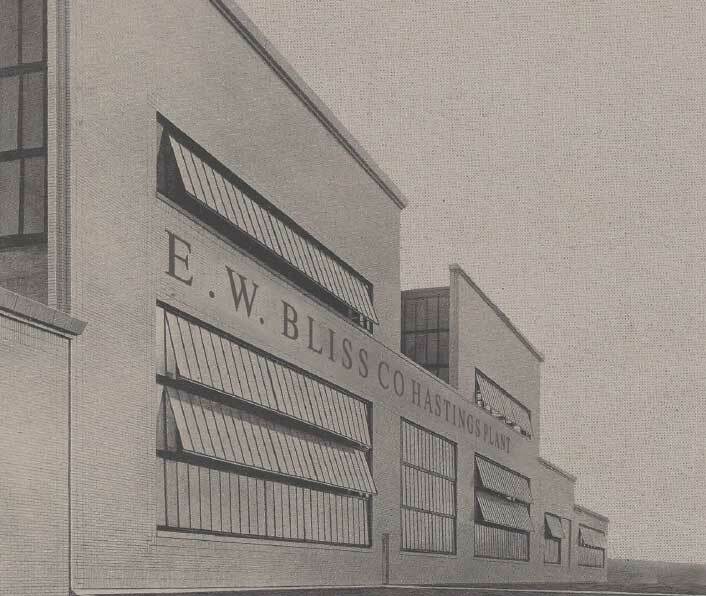 After many worldwide expansions and purchases, Bliss acquired the Consolidated Press Company in Hastings, Michigan, which to this day is the only remaining Bliss plant. Bliss helped to develop many innovations in press technology during the 20th century including two piece can production and link drive technology. Today, BCN Technical Services holds extensive intellectual property in the form of millions of original press drawings that support machines operating in many of today’s factories. Built on a tradition of can-do attitude and applied technology, BCN Technical Services supports the ongoing performance of Bliss equipment in press shops and factories, in addition to other brands including the well-known reliable brands of Clearing and Niagara.